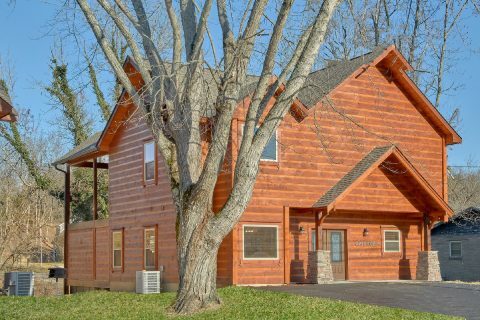 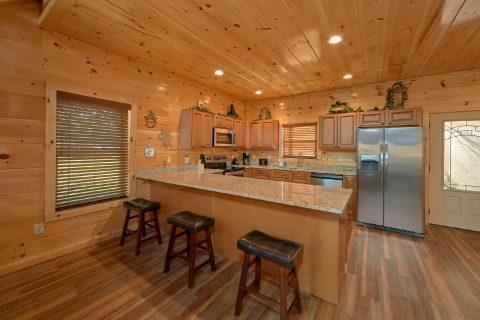 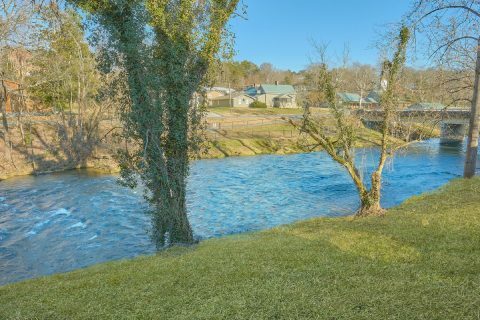 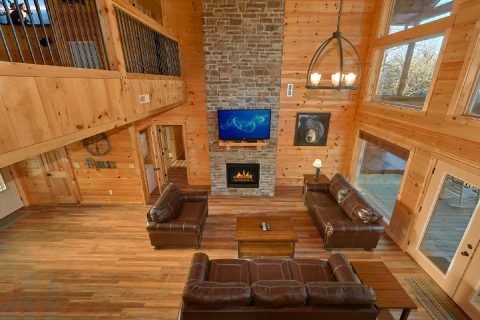 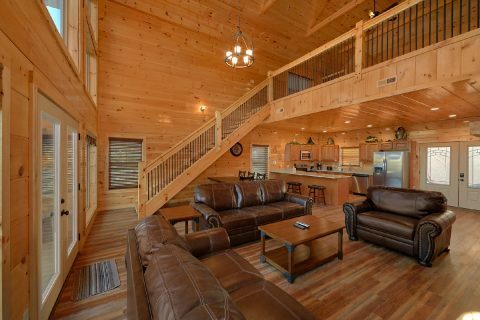 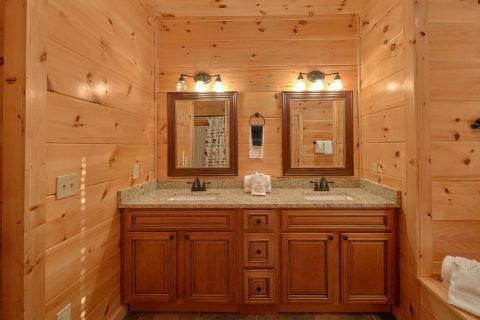 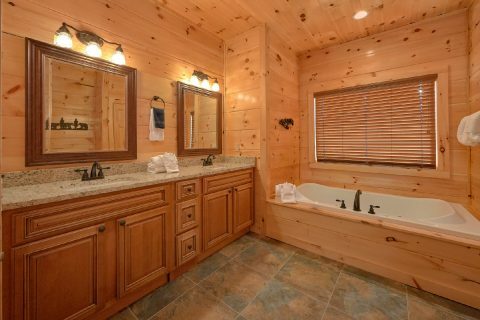 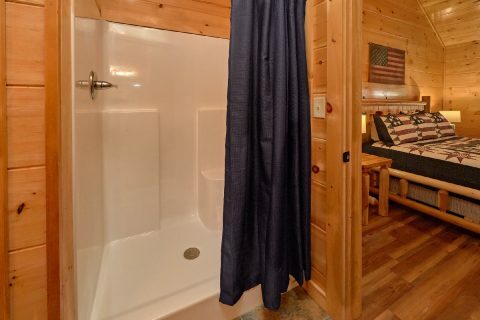 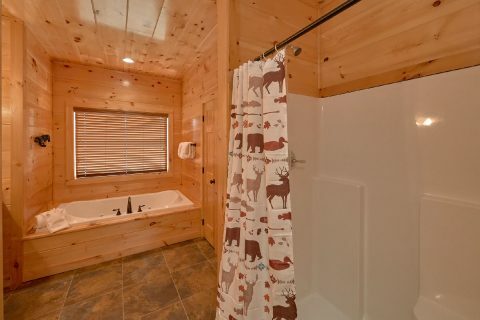 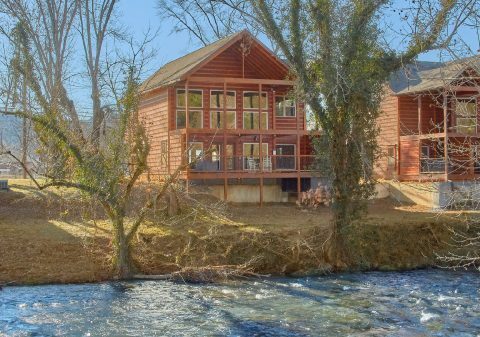 “Rushing Waters”, a stunning cabin by the river, let’s vacationers enjoy the best of both worlds, placing you near the exciting attractions of the Pigeon Forge Parkway and only 15 minutes from downtown Gatlinburg. 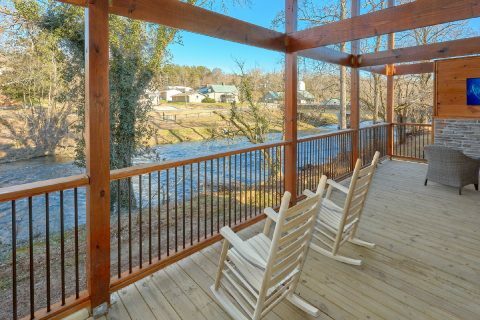 Plus, you don’t have to go far for a touch of mountain magic with gorgeous river views from this cabin’s back deck. 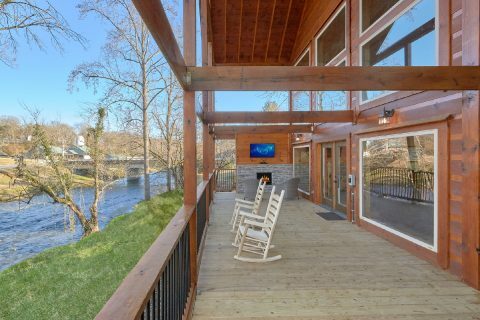 Nestled on the scenic West Prong of the Little Pigeon River, this 2-bedroom cabin can sleep up to 8 guests and boasts 2 master suites, making it perfect for groups looking to vacation together in the Great Smoky Mountains. 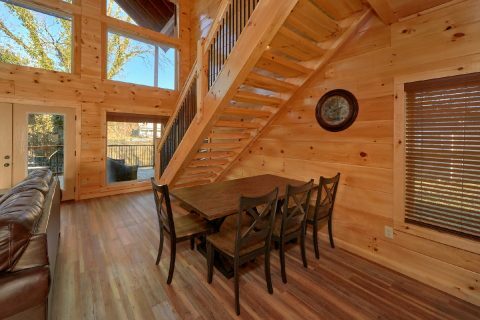 On the first floor, guests will find everything needed for memorable gatherings. 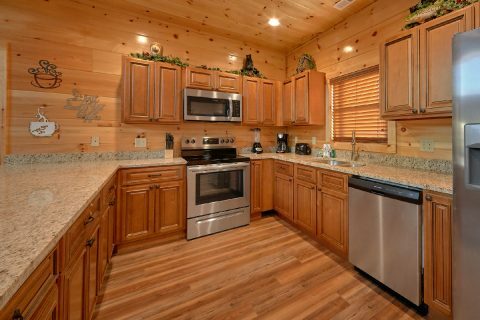 A beautiful kitchen and cozy dining area provide a great spot to entertain for meals. 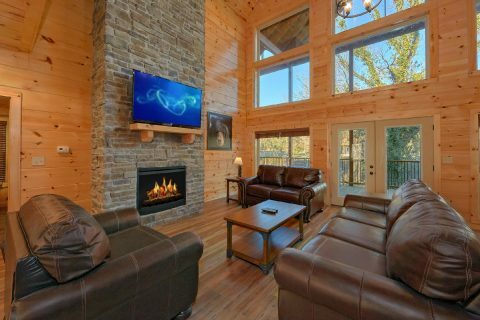 Continue the fun in the living room, with its floor to ceiling stone electric fireplace. 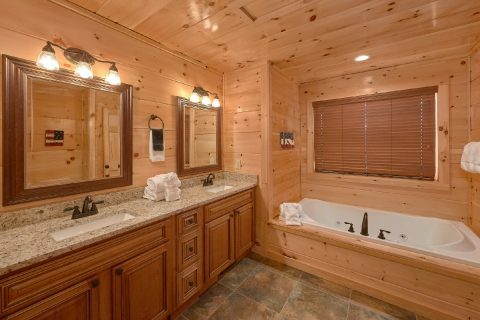 The first floor also houses one of two master suites, which has a cozy king-size bed and relaxing Jacuzzi tub. 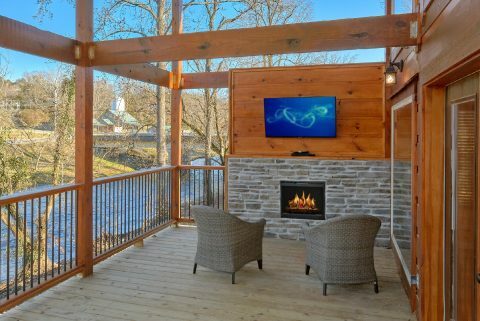 Continue entertaining outdoors on the deck with its views of the river, fireplace, and television. 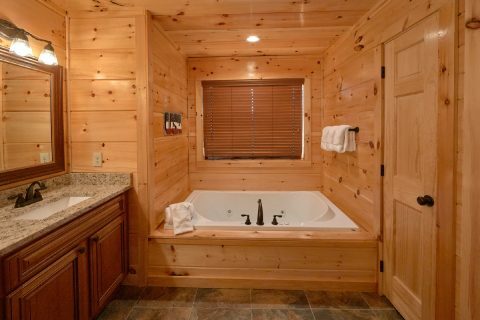 Just off the deck, an oversized swim spa provides a great place to unwind after shopping, hiking, or entertainment in the Smokies. 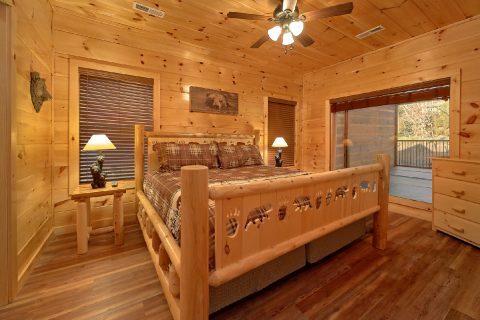 Back inside your riverside cabin, the second master suite upstairs also has king bed and Jacuzzi tub to relax. 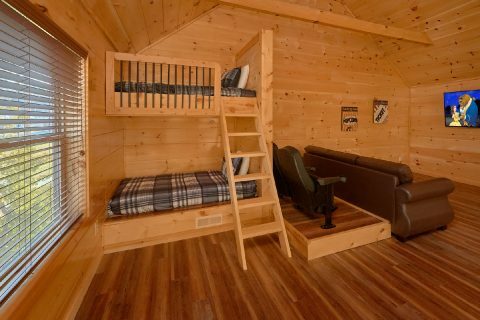 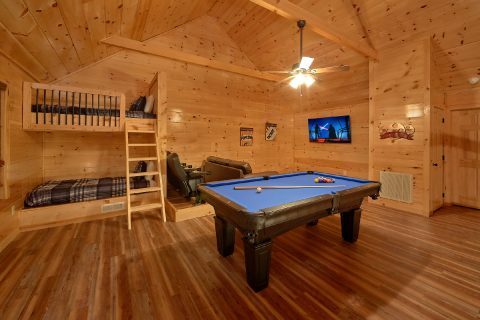 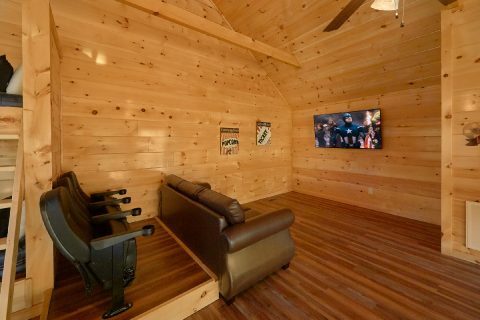 The loft area provides a great place for kids and teenagers to hang out on vacation with everything they could want –a pool table, theater area, sleeper-sofa, built in bunk beds, and the cabin’s WIFI to keep them connected. 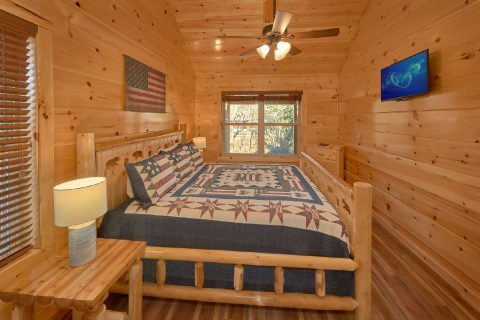 This cabin by the river makes vacationing in Gatlinburg easy by placing you in the heart of all the action of Pigeon Forge, but still keep you close to Gatlinburg and the Great Smoky Mountains National Park.